A Car Opening London service, covering the whole of London and Home Counties. 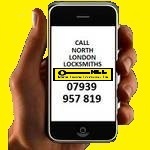 North London Locksmiths Ltd. offer a competitive price for our Car Opening London service. North London Locksmiths Ltd. offer a Car Opening London service, which operates in the whole of London and the Home Counties areas. Our Cars Opened service covers all types of cars, from the small family car to the top of the range luxury saloon car, with our Car Opening London service. Our company has always prided itself in being competitive in our pricing structure on everything we do, being established at the same address for the past 35 years, proves that our philosophy has proved correct over this time. Our Locksmiths work 24 HOUR not only on our Cars Opened in the London area service, but also for the opening, changing and repairing of frames to homes, where forced entry has occurred or in the event of keys being lost or stolen. We can be contacted on the telephone number 0208 800 6041 any time, where you can speak to a member of our staff, as we are NOT A CALL CENTRE or on our mobile number 07939 957 819 out of hours. For Car Opening London we will always attempt to be, where your car is, within one hour of you calling our office, normally 30 to 40 minutes. We will open your car with no fuss at a fair and reasonable price, as our Company policy dictates. At our shop base we also do TRANSPONDER KEYS as well as making keys to ignitions. when you have lost the keys or misplaced them. If you would like an estimate on any car opening or the opening and also the fitting of any other type of lock, please click on the GET A QUOTE LINK below.